June 10, 2018 – “Missing You”, “Every Time I Think Of You”, or “When I See You Smile”? If you asked a music fan what’s the first song you think of when I say the name ‘John Waite’ these are the likely first responses. 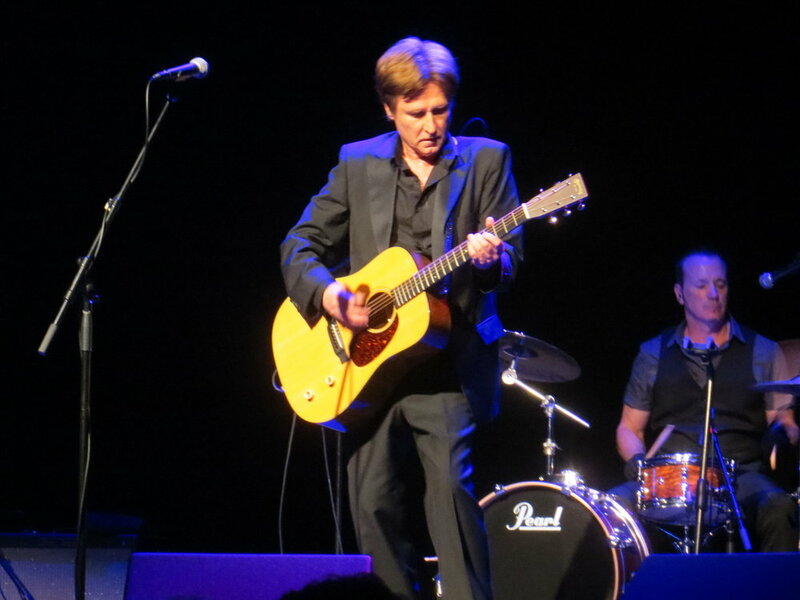 For the fourth time in just six years, John Waite came back to the Sunshine State for a concert in Clearwater, Florida on June 1st. 2018 came with a twist, The Wooden Heart Storyteller Tour fresh off an Australian run was a combination of acoustic, electric, and a whole lot of song banter and yes, storytelling of some of John Waite’s lost classics including the forgotten “Bluebird Cafe”. The sold out intimate crowd at the Capital Theatre was in for a treat as John came out smiling, joked about how much he missed the Florida heat, and was genuinely appreciative of the crowd’s enthusiastic welcome for his 40th Anniversary Tour! The opening act was local legend, Greg Billings, who delivered an incredible acoustic set highlighted by a cover of Gaineville Florida’s Tom Petty “Room At The Top” and a cover of Greg’s original band, Stranger, “Swamp Woman”. John Waite hit the stage dressed to the nines in a black suit and black shirt and kicked off the set with The Baby’s high energy hit, “Midnight Rendezvous”. The upbeat “Change” (Video captured) transitioned to a double shot of Bad English hits including “Best Of What I Got”. Everyone got sentimental for the song of the night, “Every Time I Think Of You” before John took things acoustic for the first surprise of the night a poignant cover of Bob Dylan’s “All Along The Watchtower” that added a new twist on the lyrics. Midway through the set, it became the John Waite story time. He described being inspired by a young 17 year old Nashville waitress/singer and put the story to lyrics in “Bluebird Cafe”. Waite described how his label messed up on his last solo album by not properly releasing “If You Ever Get Lonely” as a single. Then he lamented, “Poor John” as his label gave it a country band, Love & Theft who turned it into a minor Billboard hit. Walking around New York City set the stage for “Downtown” before John took us back to the 80s with a brilliant acoustic version of his smash, “Missing You”. The night concluded with another Babys’ favorite, “Back In My Arms Again” that had fans rushing to the stage for pictures. Less anyone forget John Waite is a rocker at heart, a down and dirty cover of Led Zepellin’s “Whole Lotta Love” with a snarly emphasis on the “way down inside I’m gonna give you my love” ended the night with a bang. Do yourself a favor and catch John Waite next time he’s in your area! Prior to the show fans were debating which version of John’s music was the best. The Babys? His solo career? Bad English? Either way you look at it, John Waite is an incredible vocalist with a great back catalog of hits and stage presence and he hasn’t lost a beat a four decades in the music industry.